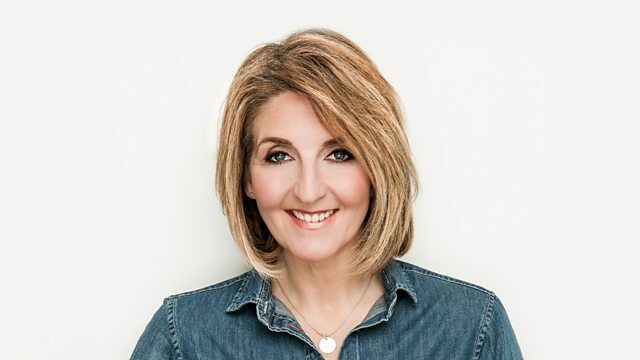 Kaye Adams asks if winter fuel payments to pensioners should be means tested and if 'sexualising' vegetables is the way to get more people to eat their greens. Plus Name the Place. New research from Independent Age and IPPR has suggested that the poorest pensioners are most likely to lose out if Winter Fuel Payment is means-tested. It is one of the sticking points between Theresa May and Arlene Foster of the DUP - The Conservative election manifesto outlined means testing Winter Fuel Payments whilst the DUP has committed to keeping Winter Fuel Payments in their election manifesto. The Scottish government says it will not follow suit in Scotland - and Ruth Davidson has said she will not try to either but is this the right decision? Do you think winter fuel payments to pensioners should be means tested? "Sizzlin' beans", "dynamite beets" and "twisted citrus-glazed carrots"......is 'sexualising' veg key to getting more people to eat their greens? We speak to the powerlifting mum who can now lift the couch when two years ago she couldn't get off it. The pollsters and pundits had another howler of an election - why do so many of them get it wrong when so many bookies get it right? Three tribute portraits have been created in Glasgow to mark the Big Yin's 75th birthday - what's your favourite billy Connolly moment? Scotland's child and adolescent mental health services are coming under fire for increasingly rejecting referrals- what's your experience of treatment for children with mental health problems? Rockstar, the video games publisher behind Grand Theft Auto, is looking for a Games Tester to work for them in Edinburgh. But is it really just sitting around playing computer games all day? CLUE 1: TODAY'S PLACE-NAME APPEARS TO BE FROM GAELIC, BUT ISN'T. CLUE 2: THERE IS A CLOSE LINK WITH THE NAME LESLIE. CLUE 3: THE PLACE-NAME DOES NOT MEAN 'FORTIFIED PLACE'. CLUE 4: IT COMPETED AGAINST BALGONIE AND WESTWOOD. CLUE 5: IT DOES NOT HAVE A FAMOUS WHISKY DISTILLERY. OPTIONAL EXTRA CLUE: OTHER LOCAL PLACE-NAMES INCLUDE GLADSHOLE AND PLAYFIELD.